Last month I had the pleasure of working on Miss Hannah Wackernagle and the one and only James Maslow (of Big Time Rush) over at the Dancing With The Stars studio. James himself paid for Hannah and her family to come down and spend the weekend at Disneyland and Dancing With The Stars with him. Being a newly minted Hollywood starlet, Hannah needed a glam squad. That’s where we came in. I met her at her trailer and glammed her up for her big number with James. A tiara, lots of silver eye glitter and a sequined gown to match! I also got to get James Maslow ready for the day, and he is every bit the nice guy that he seems on television. Everyone was great to work with and we had an awesome day on set! 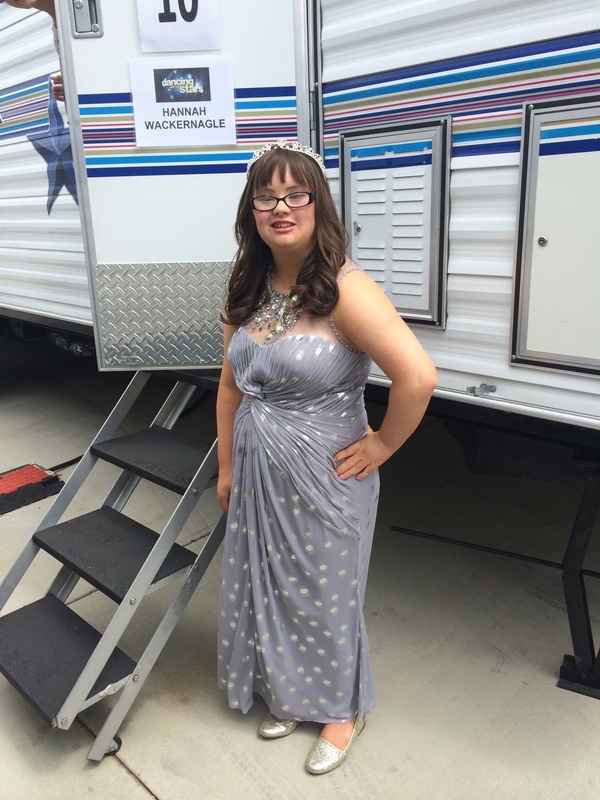 Here’s Hannah enjoying her hair and makeup in her own trailer.